Fiber-Glass reinforced Nylon body blocks. CNC machined and zinc plated 1018 steel steering extensions. Heavy Duty Bumper relocation brackets* to maintain OEM look (*front only). Laser cut and Powder Coated relocation brackets. Laser cut and Zinc Plated fittings and brackets. 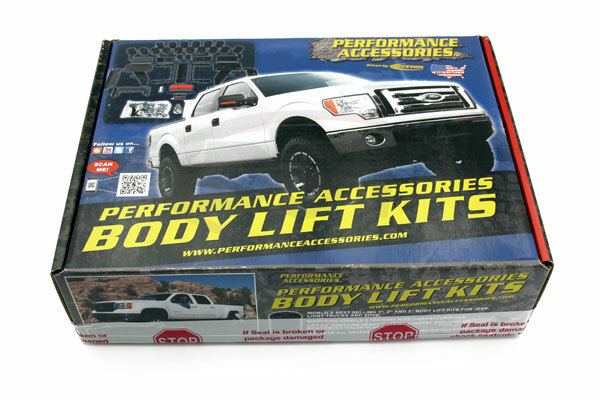 The Performance Accessories 112 Body Lift Kit set the standard high for Body Lift quality. The 1995-1998 Chevrolet and General Motor ? ton and ? ton Trucks were built with rock solid OEM suspensions. 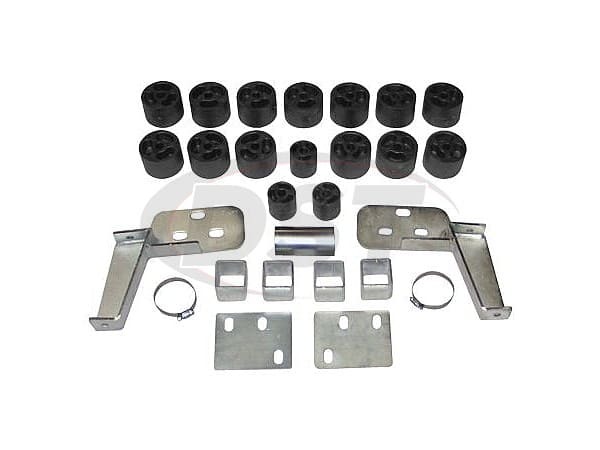 This kit augments the existing OEM setup for both 2 Wheel Drive and 4 Wheel Drive vehicles by providing 2 inch of additional lift and allowing up to 32 inch tires. This is an easy to install kit that comes with all the fixtures and brackets to maintain the OEM lines. Included in this kit are 3/16 inch thick laser cut and powder coated bumper relocation brackets* (*front only), CNC machined and Zinc plated 1018 steel steering extensions, laser cut and zinc plated radiator relocation brackets, zinc plated square frame channel, High Strength fastener hardware, Fuel Filler Extension, and of course our industry renowned Fiber-Glass reinforced Nylon body blocks. Optional rear bumper brackets are available PN-10003. 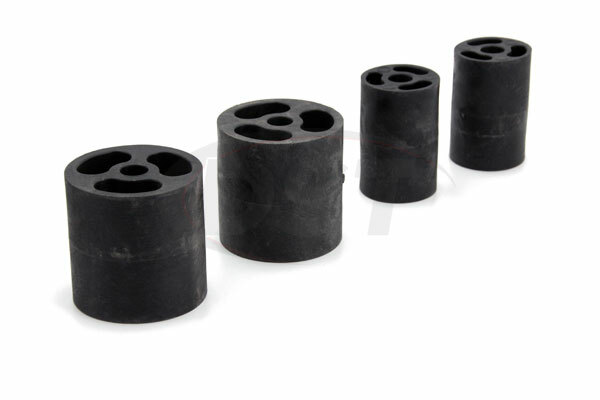 A set of urethane wheel-well extensions (Gap Guards Fleet Side 2WD PN-6529) ,(Gap Guards Fleet Side 4WD PN-6530), (Gap Guards Step Side 2WD PN-6528), or (Gap Guards Step Side 4WD PN-6531) are available separately, and are used to conceal any gaps between the body and frame. This system can be installed in 6-7 hours and comes complete with everything necessary for installation.